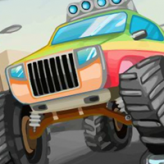 Combine monster truck, parking, and zombies and you got one of the best games in the parking game genre: Zombie Truck Parking Simulator! Zombie Truck Parking Simulator is one of the best looking games in the parking and monster truck genre. 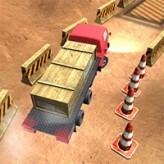 Using your massive monster truck, you must navigate your way through various sites to look for a suitable parking space. Crush any zombie you find for extra points, while finding the quickest and safest route possible to the parking area. This game requires the Unity 3D Web Player. There have been 4,082 plays and 25 likes from 37 votes (68%) since 02/11/2015. 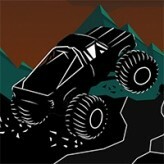 You are currently playing Zombie Truck Parking Simulator game for free on Arcade Spot. It is a single game out of a variety of games that you can play on Arcade Spot. Play more games like Zombie Truck Parking Simulator in the Driving, Parking, Simulation, Truck, Unity, and Zombie gaming categories. This game has a rating of 68 out of 100 based on 37 user ratings. If you enjoyed playing the game, give it a thumbs up. Free Online Games and Arcade Games are added every day. Arcade Spot will bring you the best games without downloading and a fun online gaming experience on the internet.